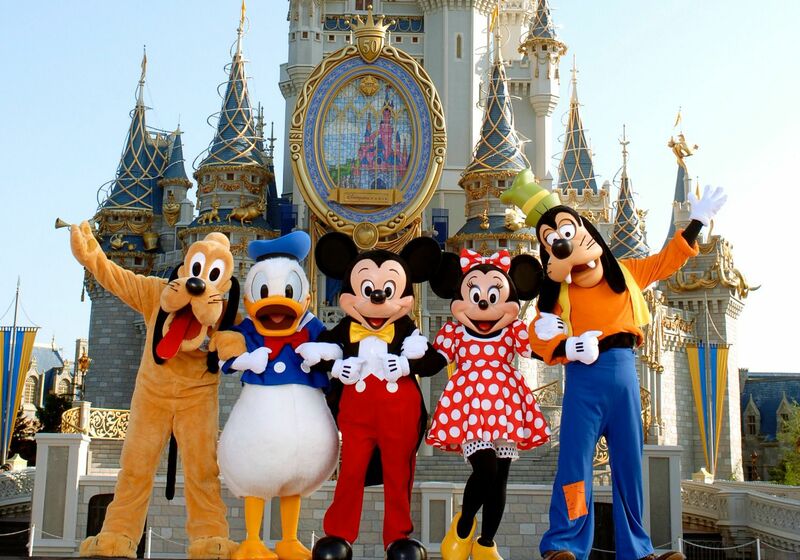 Disney is a dream vacation for most families that many believe it to be far beyond their budget, it doesn’t have to be, let us show you how to make that dream a reality on the cheap! Save money instantly via Ebates , when you sign up you’ll get up to 1-10% cash back on purchase of your tickets and hotel package. If you refer your friends you’ll get $15 and they’ll get $10 to spend! use ebates for other purchases as well to get additional cashback. This sounds like it would be far more expensive, but it really isn’t! If you stay on site you will save on transportation to and from the airport and parks. Disney offers free shuttle to and from airport and all of it’s attractions at no cost to guests. That translates to $20-40 per day in parking fees at the parks and taxi fees to and from airport which are usually $10-20 per person each way. For a family of 6 attending the parks 7 days this translates to up to 280 dollars in parking fees and 240 in shuttle fees! Save that $500 and spend it on staying on Disney property! A fantastic way to save on purchases in the park is to buy Disney gift cards from Target, Sams, or Costco. You can get a 5% discount when you use your Target RedCard, they sell them in $50 and $100 increments. At Sams and Costco often you find $50 for $40 Disney Gift Cards . These gift cards can be used for purchases (like food and souvenirs) inside the park and will save you several dollars each day! Disney policy allows guests to bring outside foods such as snacks that do not require heating into the park, just let them know as you enter that you’re carrying outside food. This alone can translate up to $30 per person per day for lunch and snacks! Disney offers free ice water at most quick service food stands, as well as grab a free soda at Club Cool in Epcot! The Harmony Barber Shop on Main Street in the Magic Kingdom will sprinkle “pixie dust” on your kid’s hair for free. If you’d like the “full experience” you can actually have your child’s hair actually gelled and colored, it’s less than $10 and much quicker than the bibbidibobbidi boutique in the castle, and it will make your child’s day. Castle Couture (Fantasyland) also has free “pixie dust.” for your little one’s hair! On Disney vacation you will want tons of pictures right? But who will take them if you don’t buy the photopass? Any PhotoPass Cast Member will take photos of you with your own phone or camera. Same goes for character attendants, the photographer accompanying them will be glad to use your own camera in place of their own. In the case of the PhotoPass offer, we usually take the card just to be polite, but it isn’t necessary. This will translate to a minimum of $15 per photo savings! This sounds like it would be “no fun” but there are plenty of ways to MAKE it fun! We usually stop (we drive) in Ocala and buy souvenirs at deeply discounted prices. For the kid’s souvenirs we buy them and hide them and an adult stays behind as we leave the condo each day to place one item out each day on their beds so they’ll have a secret surprise waiting when they return each night! This saves money and is a ton of fun for the kids as they think their favorite Disney Characters are visiting their rooms each day leaving them gifts. You can also find pre park souvenirs like sequin Minnie Ears with bow here , or a Mouse Ear Hat here for SUPER cheap! Ready for something good to eat (but not just one of those snacks you brought)? Hop on the monorail and head over to one of the Disney Resorts (Like the Polynesian) and grab a meal cheaper than you can in park. If you purchase a base ticket you can come and go from the same park all day long, a park hopper can come and go from various parks (We do NOT recommend paying extra to park hop unless you’ll only be in Disney for 1 or 2 days). SKIP the Character dining, there’s plenty of time for interaction with all the characters IN the park. Eat a heavy breakfast before you jet off to the parks. Carry in light snacks you bought outside the park. Eat a heavy LATE lunch in a park resort you’ve monorailed over to. At your usual dinner time have a light snack you packed in or purchase a treat such as ice cream on the cheap. Eat your full Dinner after you’ve left the park, this will save you a ton of money as dinner is the most expensive meal on park. Previous postGet ready for those hot summer nights!